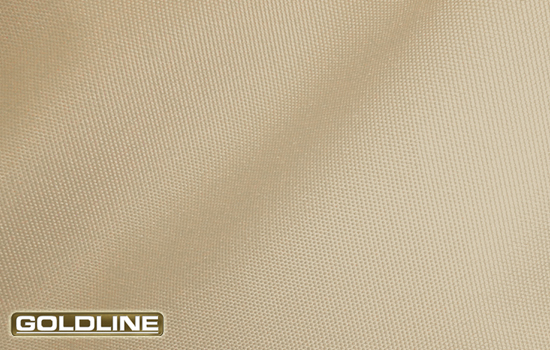 Goldline fabric snug semi-custom wheel covers in tan. 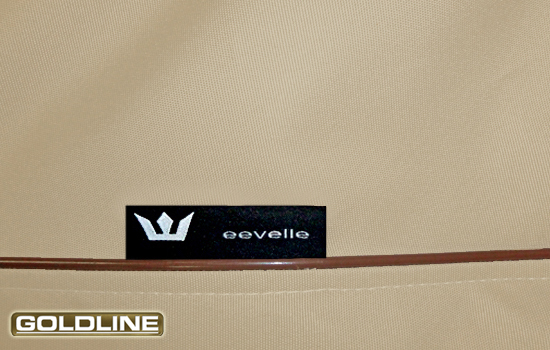 Goldline fabric snug semi-custom wheel covers in gray. Elasticized back provides a snug fit and easy installation. 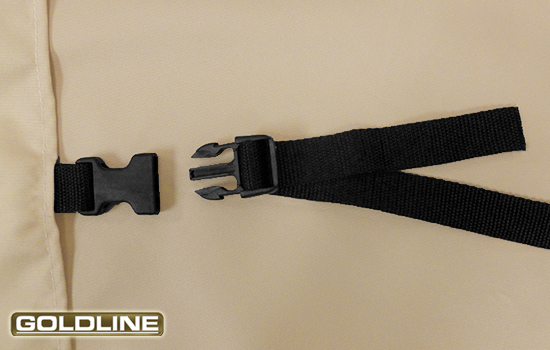 Heavy duty quick detach buckles in the rear keep cover in place. 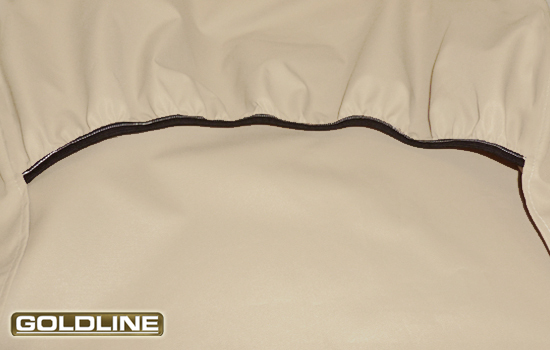 Contrast piping matches Goldline RV Covers. Durable yet supple 7oz. 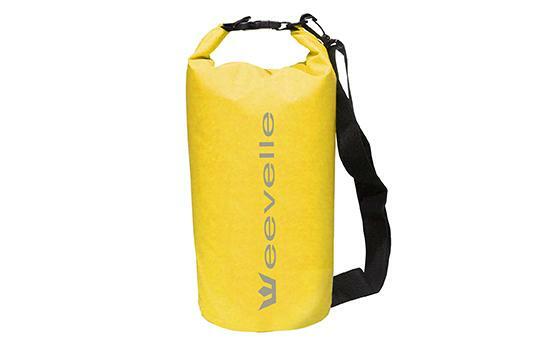 600D true loom-woven polyester. 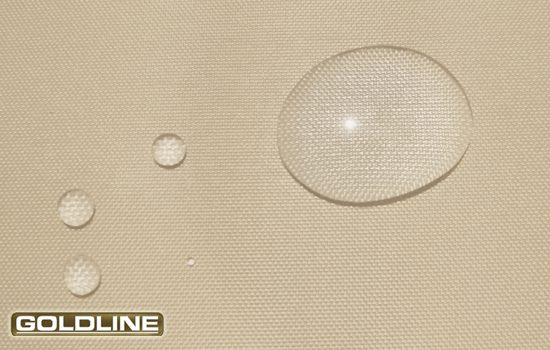 Goldline wheel covers are designed with Marinex marine-grade fabric to provide all-weather protection. 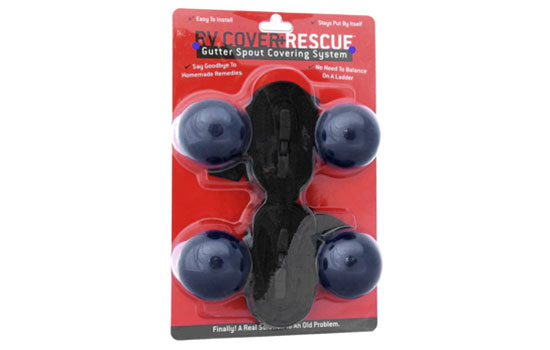 Each set of wheel covers is made from the same fabric as our Goldline RV Covers and will match beautifully with your Goldline RV cover. 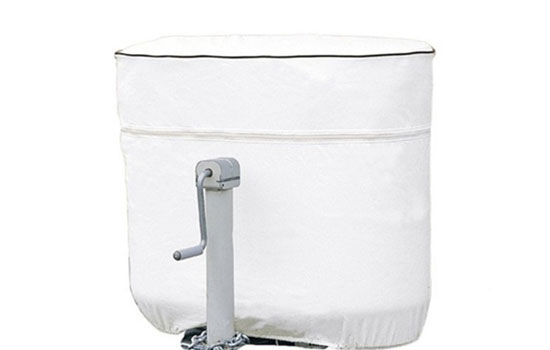 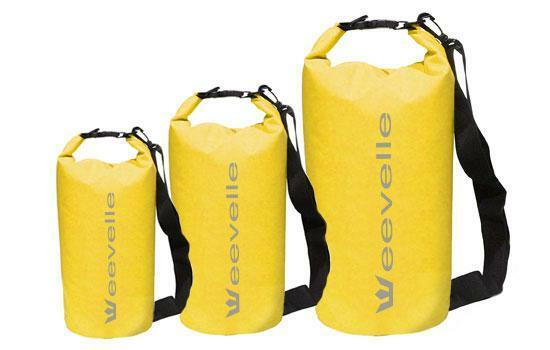 The fabric is UV and mildew resistant thanks to a manufacturing process that uses heavy duty 7 oz. 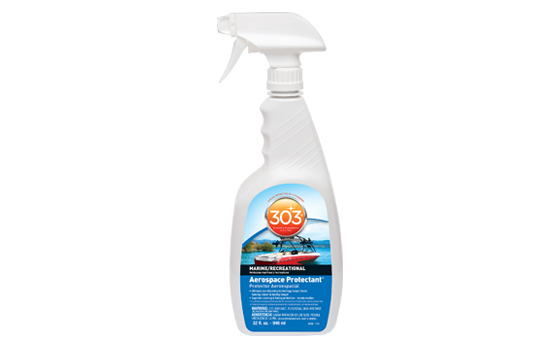 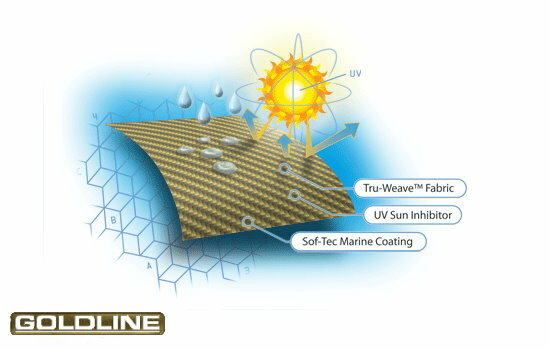 true loom-woven Polyester, that is coated with Durapel UV inhibitor and an Anti-Microbial finish. 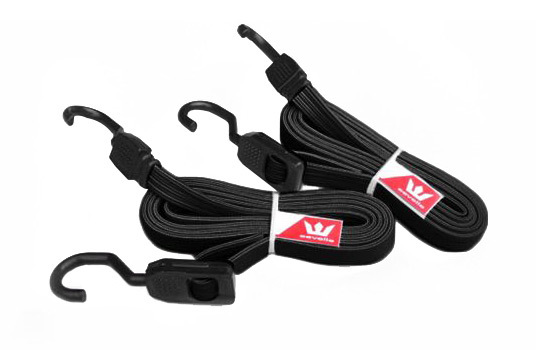 Elasticized rims and bottom rear buckles make installation simple while also securing the wheel covers from sudden wind gusts. 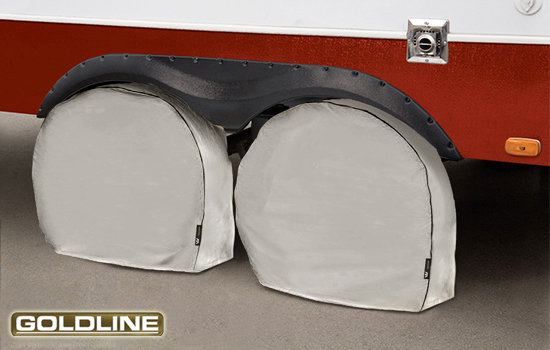 Goldline wheel covers are designed to satisfy the most discriminating customers by outperforming every other cover in all critical categories of protection.